I hope your summer has been good. August is so close and it seems hard to believe. I have done some summery stuff, but never as much as I want to. 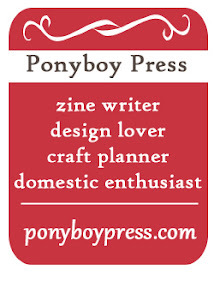 Right now I really need to buckle down and work on my zines for the zine sympoisum. 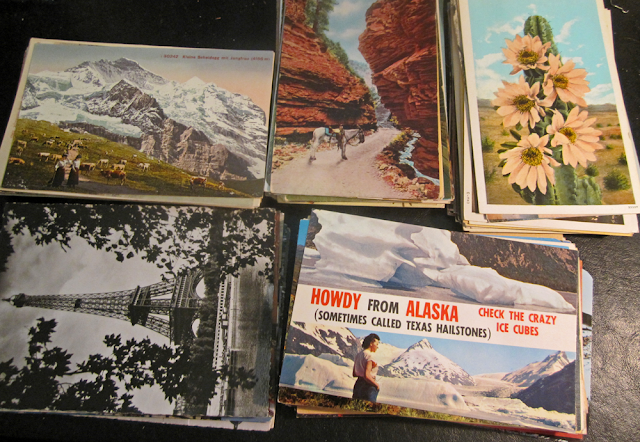 Last year at this time I was doing my zine about postcards. Last week I got to help out two different couples who were planning a wedding very soon and they wanted a guest book of all vintage postcards that people write messages in and then place in a mailbox. It was so fun to pick out ones that were pretty and appropriate. One of the couples wanted 160 with a general theme of travel. I got a mix of mid-century and early century, photographs and illustrations. I think the collection was a nice variety of pretty and kitschy. Here is picture I took before I sent them off. 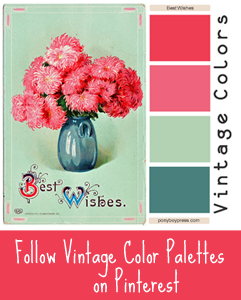 If your interested in this service, you can find out more on this Custom Vintage Post Card for Weddings Etsy listing. My garden is blooming like crazy. You, too? 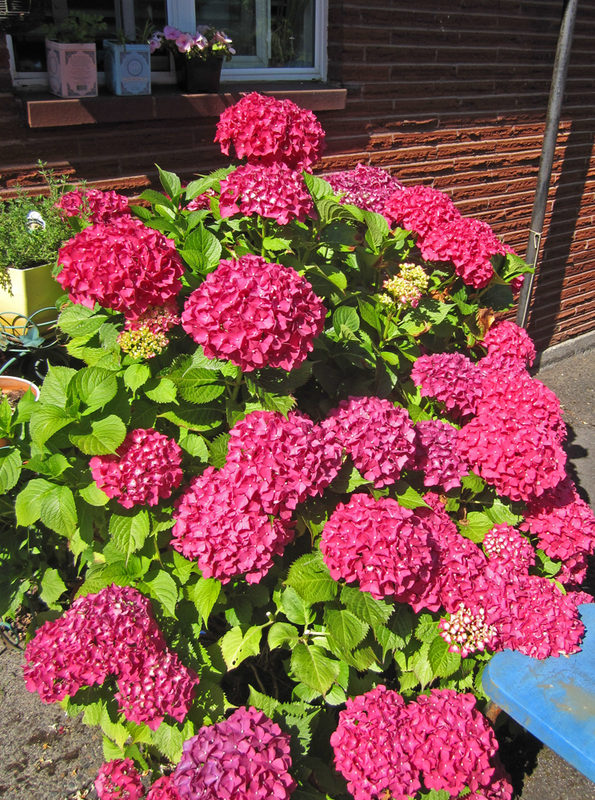 I am in love with my hydrangea bush this year. It was double in size since last year and has a ton of big firework-like pink blooms. This plant started as a potted blue version from Trade Joe's. When I put it in the ground it bloomed the next summer as pink. I've been admiring all the hydrangea bushes I've seen all around town, too. Some are quite big. When I was kid we had a blue one on the side of the house and I kind of always thought of it as a big weed. It didn't seem like a flower to me because it was a bush. Now, I see the appeal of them. 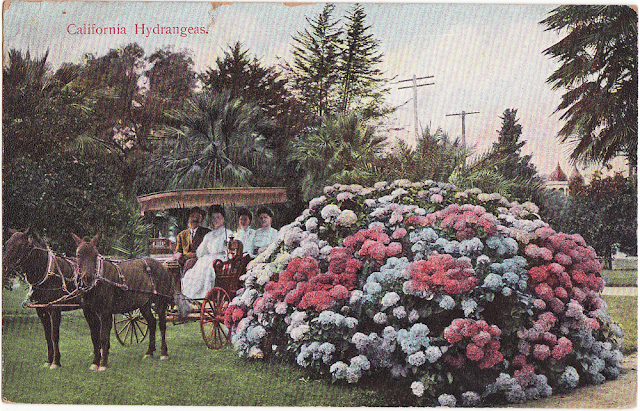 I recently got this vintage postcard from 1911 because of the hydrangea bush. Lovely! This postcard was sent in Jan 1911 from Ann in Anaheim, California to her mother in Minneapolis, Minnesota. Most likely this is the house she lived in, in fact probably where Ann lived before she moved...or maybe she is just on vacation. 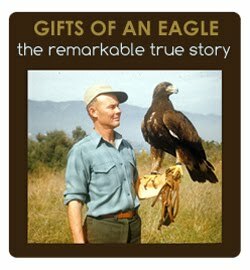 I recently bought a photograph on Ebay, which I seldom do. 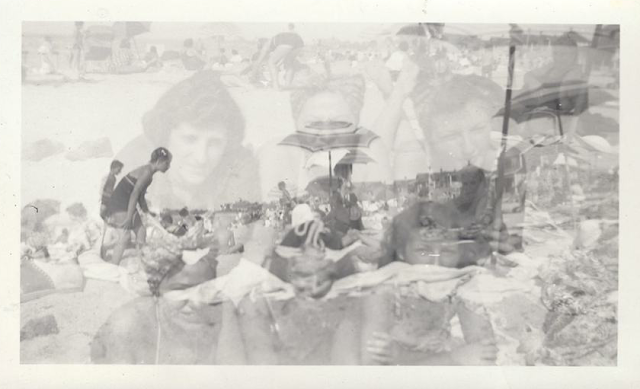 I like double exposure photos and this one just looked too neat to pass up. It shows a typical summer day for some. This beach looks a little too crowded for my tastes, but it sure makes a neat picture. What are some of your favorite summer traditions? I hope you can enjoy more of them before the summer is over.